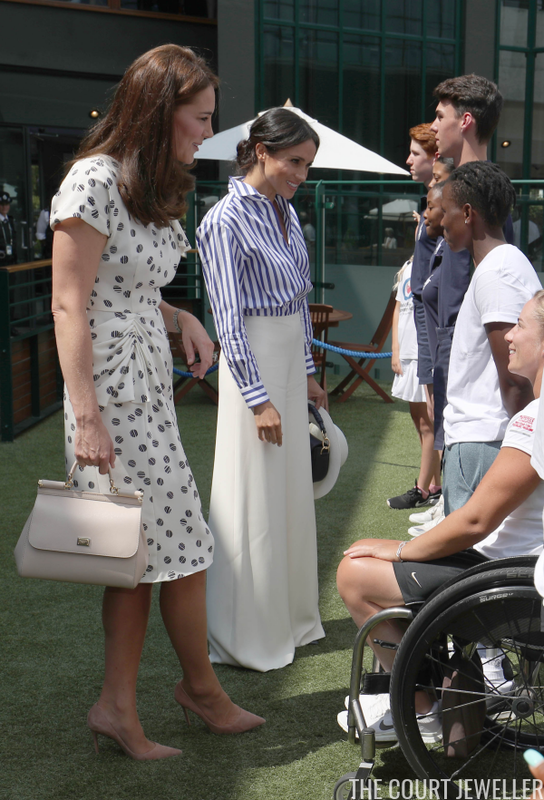 We got a bit of a royal treat earlier today, when the Duchess of Cambridge and the Duchess of Sussex headed to Wimbledon together to take in a spot of tennis, including a match featuring Meghan's close friend, Serena Williams. 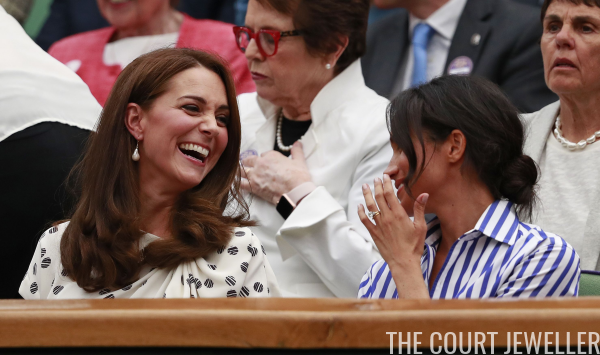 Here's a look at the jewelry we did (and didn't) see on this duchesses' day out. 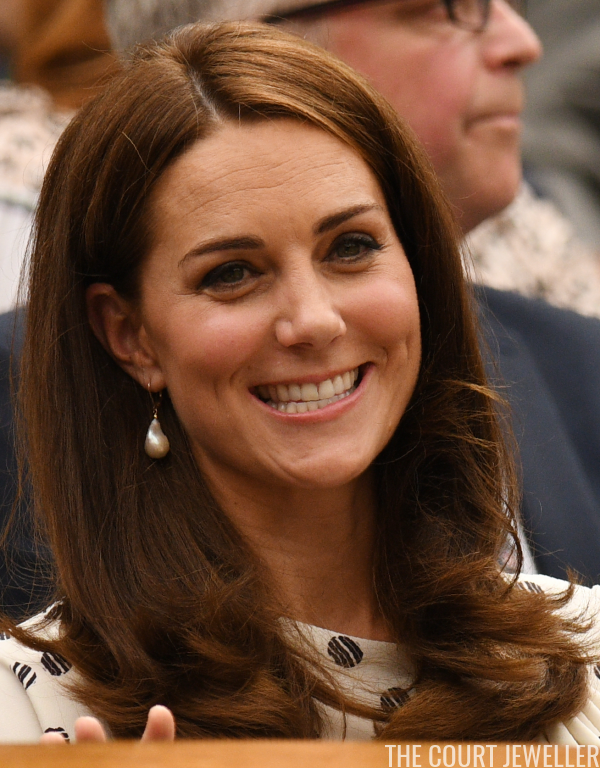 Kate, who is patron of the Lawn Tennis Association and the All England Lawn Tennis and Croquet Club, wore her baroque pearl drop earrings from In2Design. Unfortunately (for us! 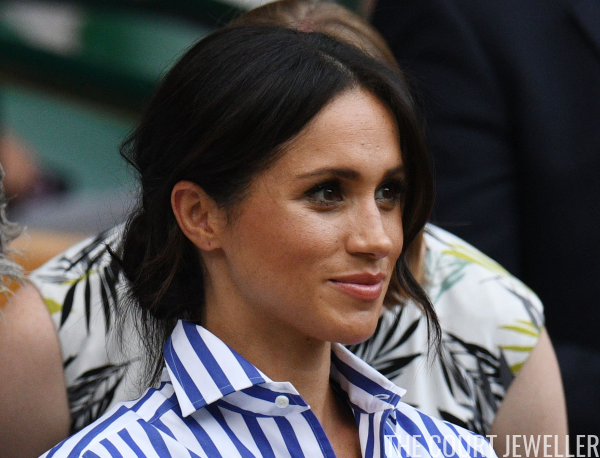 ), Meghan decided to go earringless once again. Which earrings would you pair with this outfit? 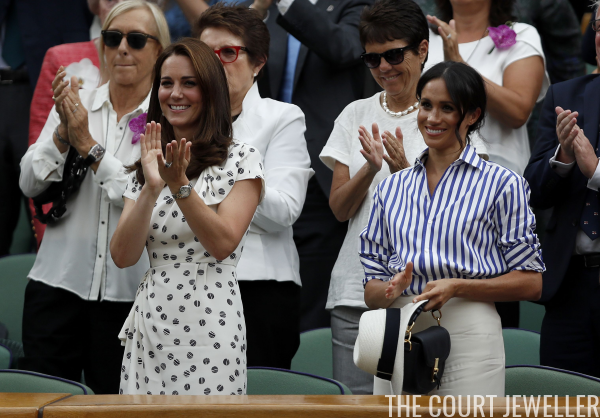 Here's a look at both of the duchesses' complete ensembles. Just as a sidenote: comparisons between the two women are all over the place in news articles, and even social media users seem to feel the need to pit them against each other. It's so nice to see that, in reality, they clearly enjoy spending time together!